Boris Mouravieff taught Eastern Esoterism at Geneva University for many years, and Gnosis is the result of his teaching. 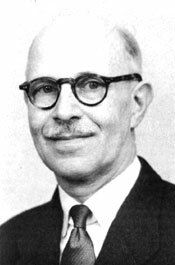 First published in French in 1961, the three volumes of Mouravieff 's Gnosis have since been translated into Greek, and an Arabic text is in preparation. Now - after seven years of work - the translation into English is available. 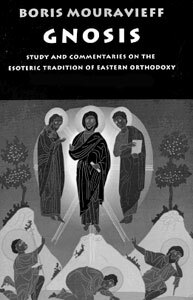 Gnosis does more than simply explore the mysterious relation between the ‘Fourth Way' and the little known ‘Royal Way’ of Eastern Orthodoxy; it forms a modern primer in the knowledge tradition of the early church, and gives practical instruction in methods of spirituality for serious seekers. After escaping the Russian revolution and the Nazi occupation of France, Mouravieff taught these doctrines in language compatible with modern thought at Geneva University. These three books agree to a high degree with the teachings of the early fathers of the church, as well as with the inner teachings of all religions. Available in English after thirty years, Volume III of Boris Mouravieff’s Gnosis contains ancient keys to a tradition of Christian esotericism that was necessarily hermetized 1800 years ago and has since remained unpublished, surviving to the present only in unwritten form.